Experimenting with acrylic painting techniques is a wonderful way to get used to the medium. Any time you play with an art material, you become more comfortable with it and you will approach future projects with more confidence. Plus it’s just really, really fun to set aside a block of time dedicated to experimentation. Acrylics may be my all-time favorite medium. They’re versatile and they dry fast. 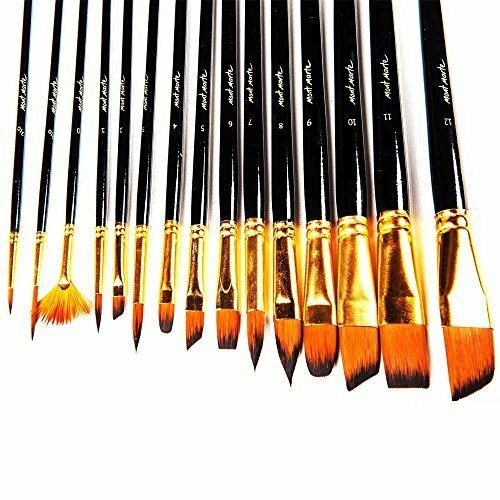 You can use them in an astonishing number of ways, and I am going to show you a range of acrylic painting techniques so that you can get a feel for what you can do with them. I know some of you probably aren’t that familiar with acrylics. For some reason, as kids we are inundated with watercolors in art classes, but acrylics remained a mystery. Acrylics are convenient, kid-friendly, probably safer than oil paints, beautifully saturated, easily mixable, and can mimic other paints. 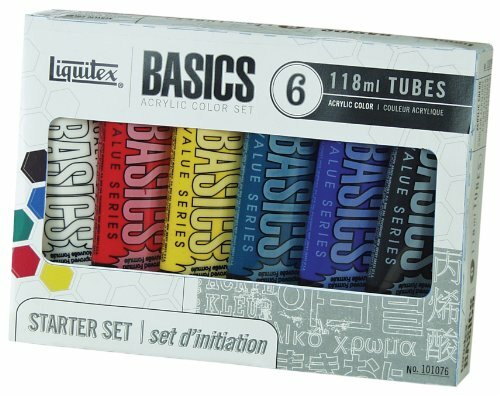 It’s easy to pick up a set of acrylics and get started. Scroll down for my list recommended products no matter where you are in this process. Also, this group of techniques focuses more on playing with the medium as opposed to achieving any specific look. For instance, I’m not showing you how to paint in any specific style. Let’s dive into them. And these are only some of the ways you can use them. You could seriously come up with about a billion acrylic painting techniques if you kept at it. These use acrylic paint watered down. You can add a lot of water to make it mimic watercolor paint, or just add a bit of water to help it flow more smoothly. You can use watered down acrylic with other media or with more acrylic to get different effects. 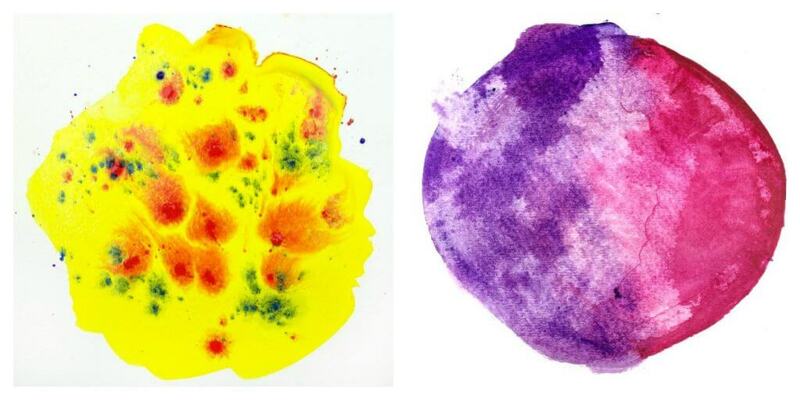 On the left is wet-on-wet paint: Mix a color of acrylic paint with water until it’s the consistency of watercolor. Drip or splatter in a second color mixed to the same consistency. 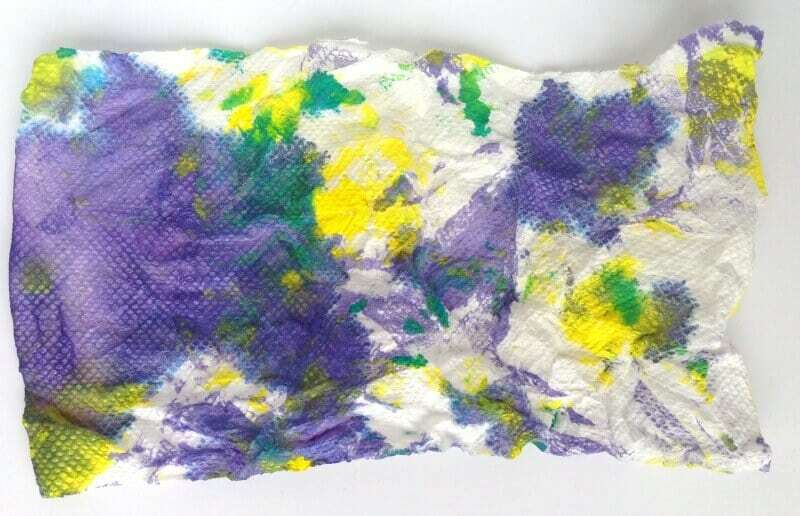 The right is paper towel blotting: Brush on your watered-down acrylic, and then you can take a wadded up paper towel to blot sections. 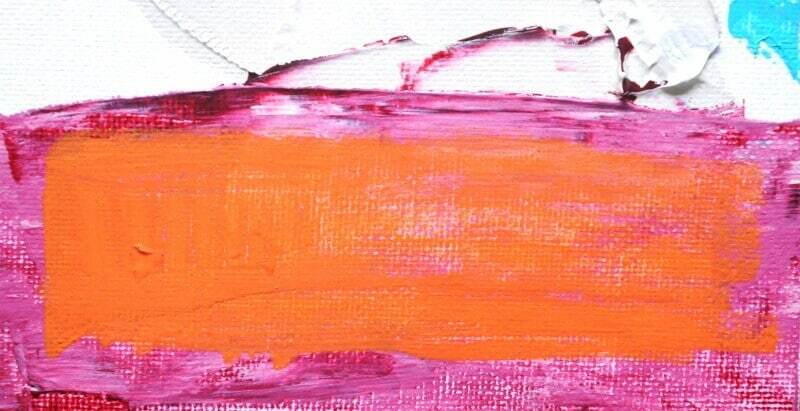 This makes a great textural look to the acrylic. 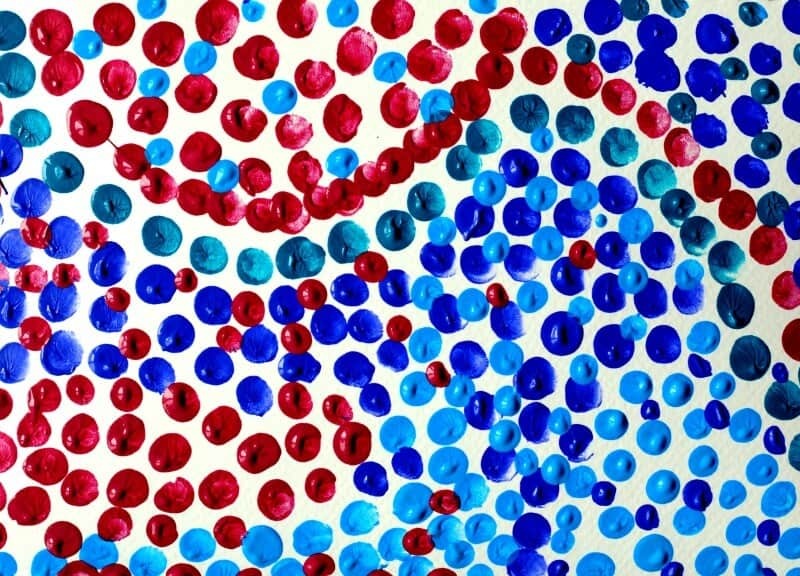 These are watery acrylic painted over not-watered acrylic circles. What I love here is that these are all the same circles. 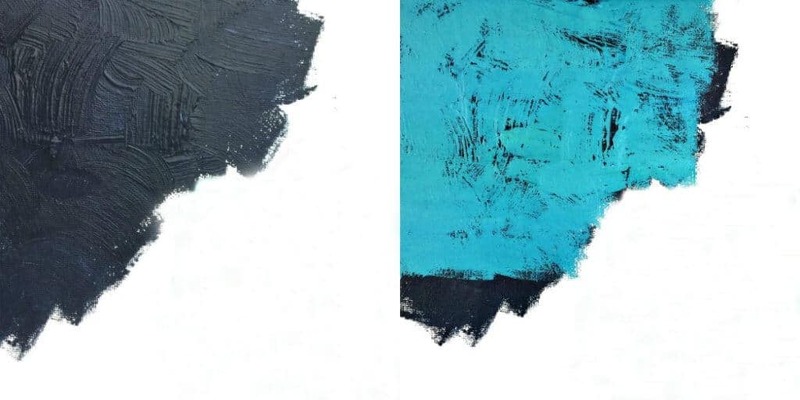 I first painted this dark turquoise over the circles (left), didn’t like the way it looked, so I blotted off the paint (center), and painted a different watery blue over (right). I love the leftover stain that the original color left in the center, and I love the layers of color you see coming through when you use the different paint techniques. This is another wet-over-dry paint technique, but then I also blotted the wet paint with a wadded up paper towel. Such good texture. Give your acrylics some texture. Grab a piece of white tissue paper. Crumple it into a ball. Flatten it out somewhat and glue it down to your surface. I used acrylic gel medium, but Mod Podge would work well if you have that lying around. I didn’t try regular white glue, so I’m not sure if this is too watery for the tissue or not. After this dries, paint over it. The green paint is a wash, and the orange is straight paint. Both look great! 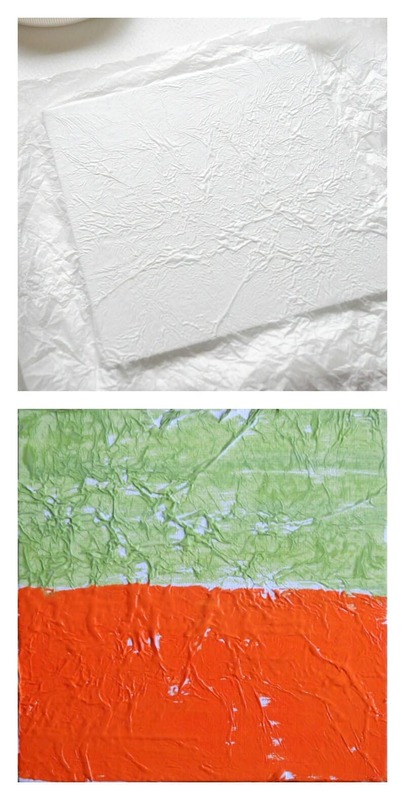 More examples of painting over crumpled and glued-on tissue: left is a wash, middle is a watery-er wash, right is dry-brushing on paint. 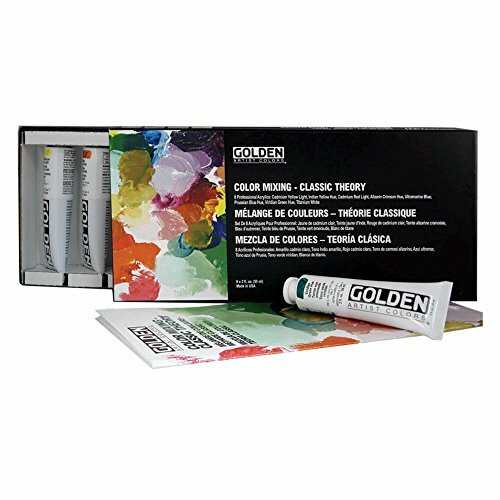 Acrylic is beautiful when used straight from the tube, no water or acrylic medium added. (Although I prefer to mix colors so they don’t look like straight-from the-tube colors.) 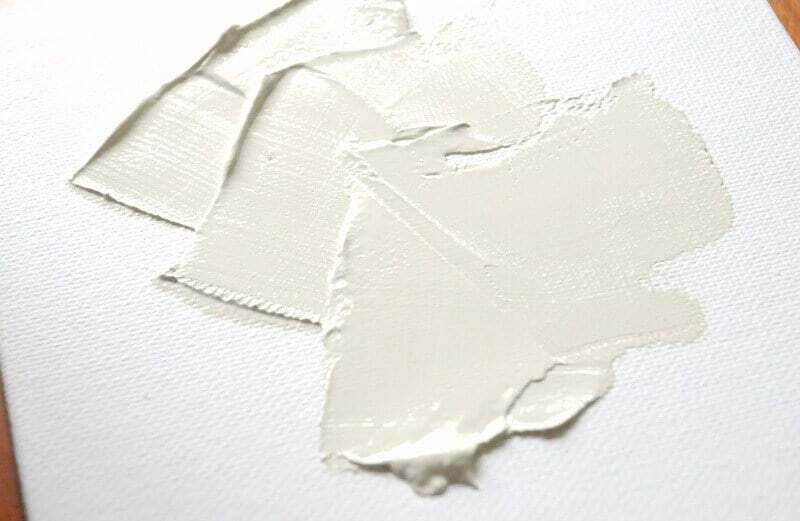 If you spring for the professional grade acrylic paints, you’ll get a thick, buttery consistency that lends itself to a whole new set of techniques from the watered down acrylics. Impasto! You must shout this word out every so often while painting this way. 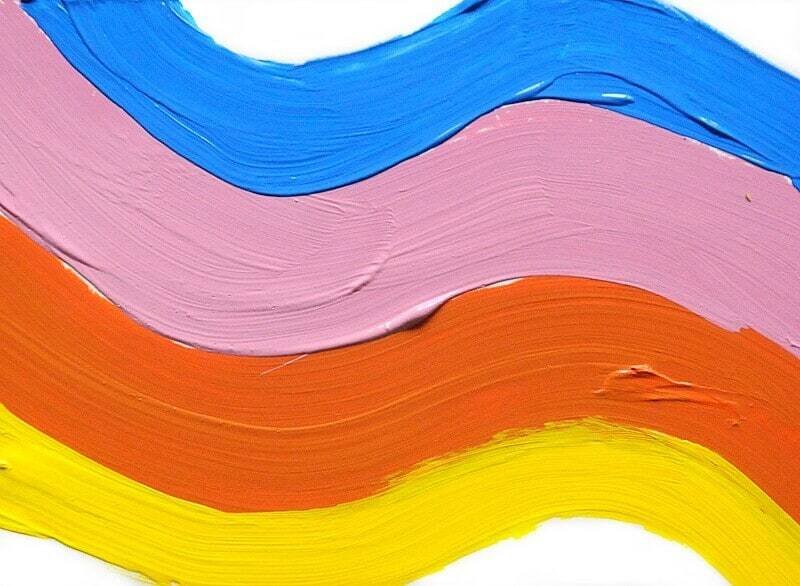 Take a palette knife, and use it to smear a blob of paint gently over the surface. Check out the cool mix of smoothness and texture you get. The red marks on the bottom were smeared on with a palette knife and then sort of scooped out with the tip of the palette knife. It’s like sculpting! 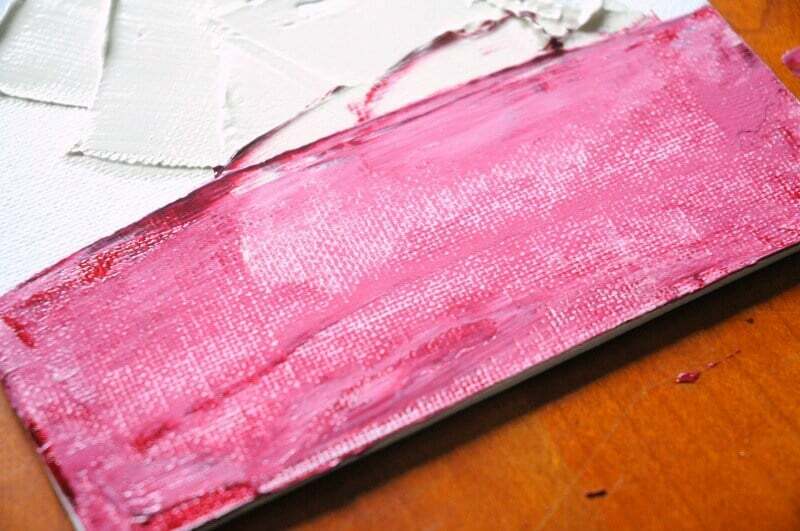 If you don’t like the weird globs of paint, scrape them off with the edge of the palette knife. It will leave a stain of color in the grooves of the canvas. Sgraffito is another fun word to holler, and you can have fun drawing into fresh paint with the end of a paintbrush. Your kids can probably make a far cooler sgraffito painting than I did here. Consider this a challenge. 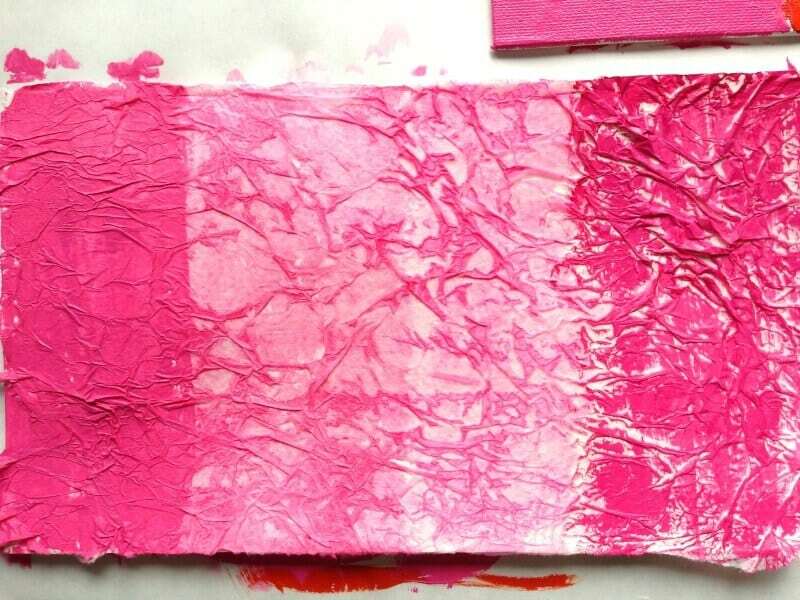 Carve a styrofoam meat/vegetable tray to use as a stamp- roll out some acrylic on a palette, and then roll it across your foam plate. Press it on down all over your paper. You can color in the white areas with colored pencil, crayon, pastel, or nothing! I painted a wash over the print on the right. Using a brush, paint on (thickly) some acrylic paint that has not been watered down. You will be able to see the brush strokes. Let it dry and then dry brush another color over it. Dry brushing is using paint that is not watered down, but not a lot of it- you sort of drag the paint over the textured area so you can see some of it break through. Straight. Up. Painting. 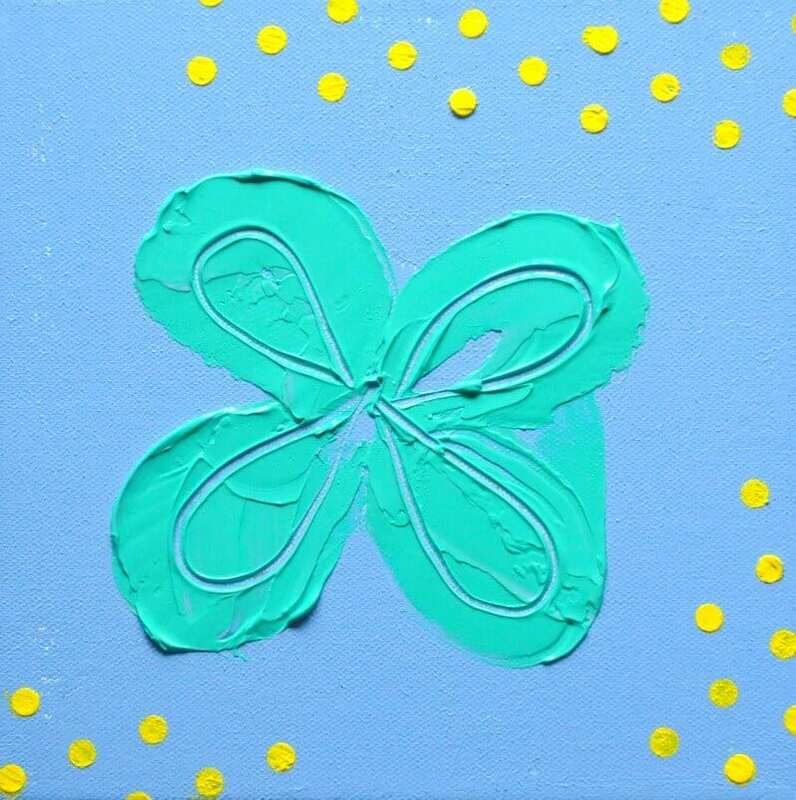 Just mix up some colors and paint with a paintbrush. No water, no fancy scraping or smearing. See what it can do. Look at that texture! Hey, why not finger paint with acrylics? 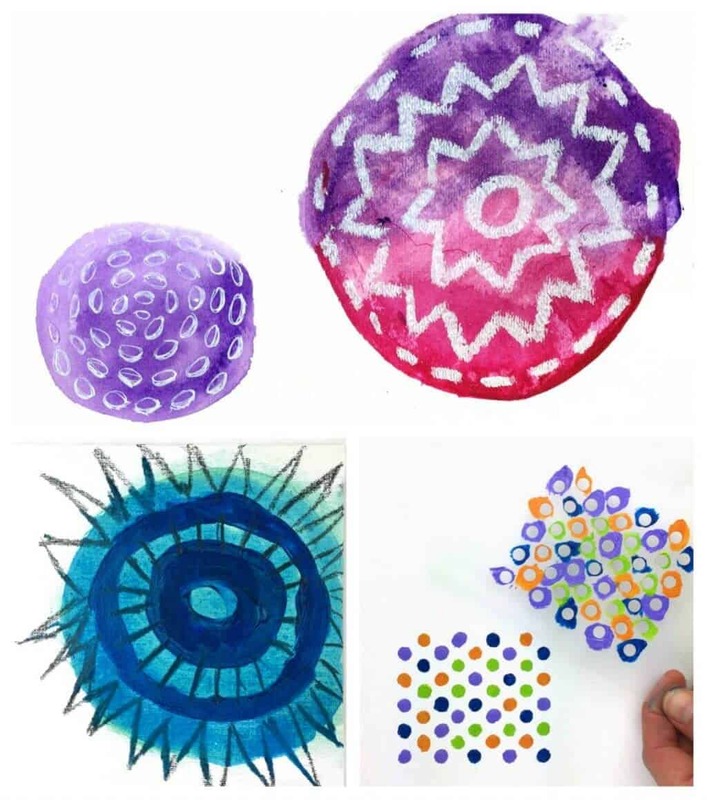 Dip your fingers in and make some dot paintings. Acrylic pairs beautifully with a number of other mediums, and you can use whatever tools you have on hand to different effects. Try some before and some after using the acrylic. 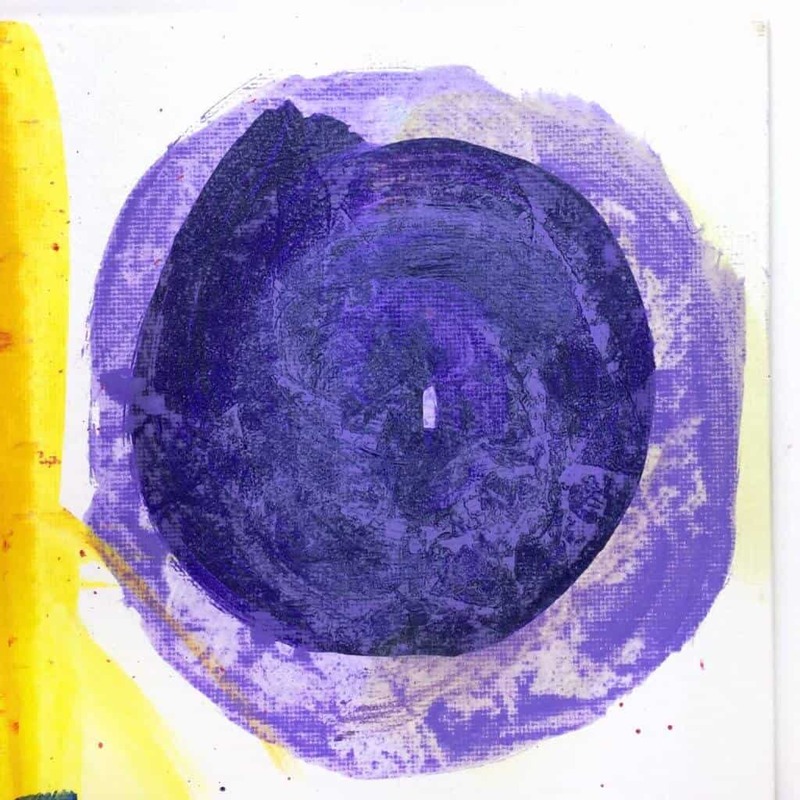 Top 2 circles are watery acrylic paint, left to dry and then drawn over with a white Sakura Gelli Roll pen on the left, and white oil pastel on the right. Bottom left is wet, watery acrylic painted over dark, not watered acrylic, and then soft pencil lines drawn over whike still a little damp. Bottom right is a stencil with acrylic paints dabbed on with a brush. You can also use those little makeup sponges to dab the paint on. 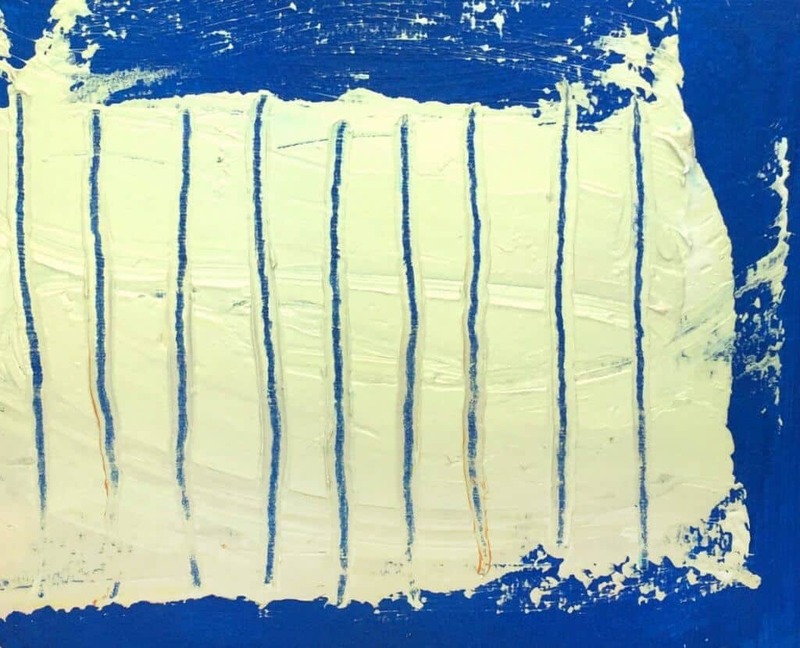 Roller-painting – Use a brayer to roll paint across the surface. You’ll end up with a subtle texture and a quick background. The background below was rolled on, followed by impasto painting with a palette knife for the flower. The flower was incised with the end of a paintbrush, and then the dots were added with the stencil. Look at all these techniques coming together! This is the scraped paint from above. Paint a wash of another color over it. Layering washes is a great way to show depth and it is so fun to experiment with using different colors together. I’ll add to these as I think of more! 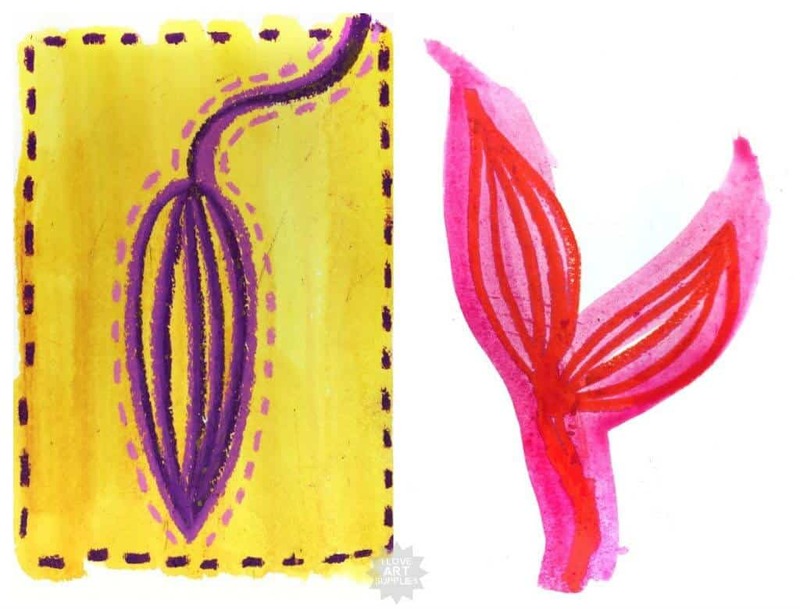 Ready to try your hand at these acrylic painting techniques? 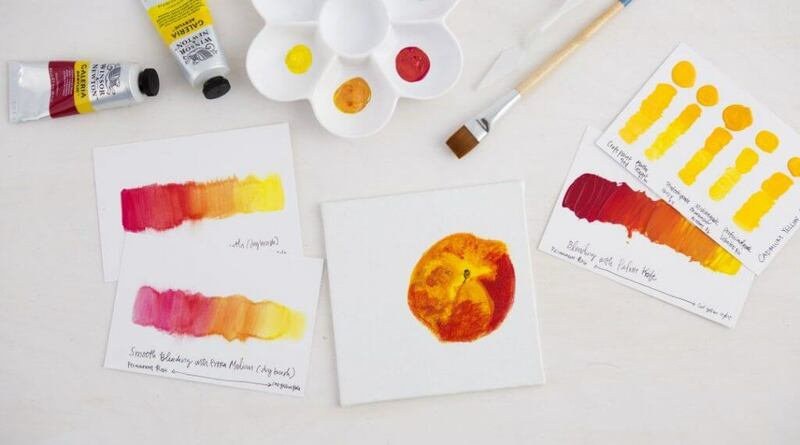 Make a paint sampler. It looks just like a quilt, and you can keep it around to refer back to. It’s kinda cool to try all sorts of different approaches to this paint on one surface, and you’ll really realize how crazy-versatile acrylics are. I used a couple of canvas boards and went at it. Big Tip! I was reminded in the comments to tell everyone that acrylic paint is permanent, Don the smocks! Have your kids wear junky clothes! For more projects using acrylic paints, check out my paper mache/acrylic paint pencils project, mini books project, tape resist painting project, and teeny tiny landscape painting project. 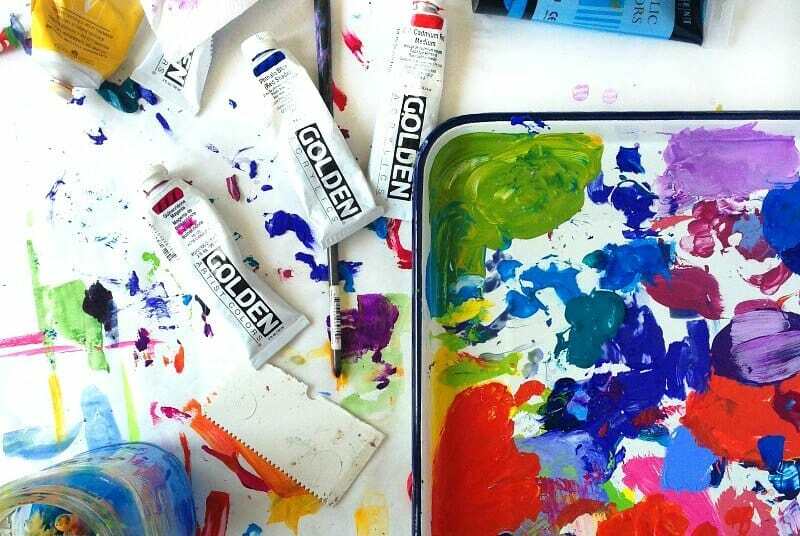 My very favorite brands are Golden paints and Liquitex. 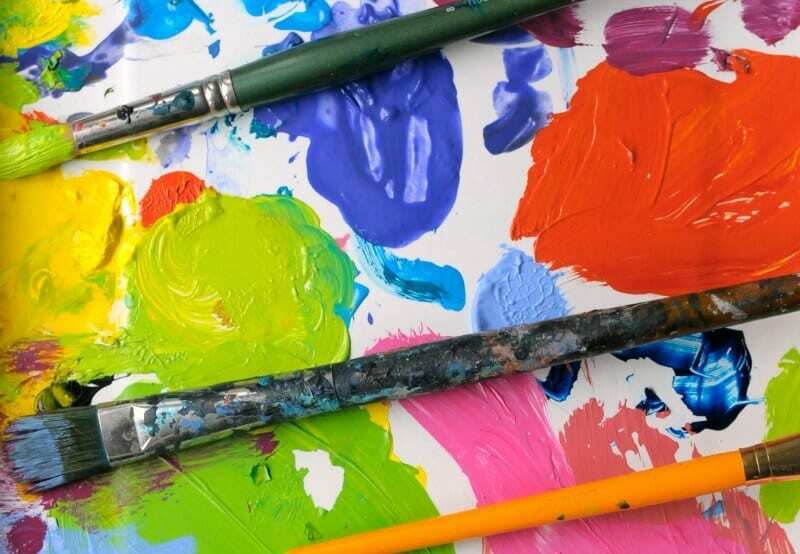 To start with, you may want to buy cheaper paints if you are trying these techniques with younger kids, or you are just beginning. I’m a big fan of using the best materials you can afford, since these will always yield the best results, but at the same time you want to feel free to blast through the paint without mentally calculating how much money you just spent. Also, I would choose more expensive paints over more expensive brushes in case you’re wondering where to throw your money around. And expensive chocolates, obviously. 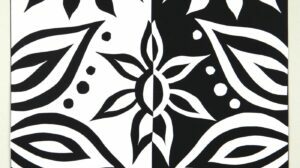 See Blick for more sizes in the Frederix prestretched canvases. Also Try: fabric, glass, ceramic, boards, tissue paper, cardboard, etc etc etc. Try them all. Some may need to be primed with gesso first (like glass). 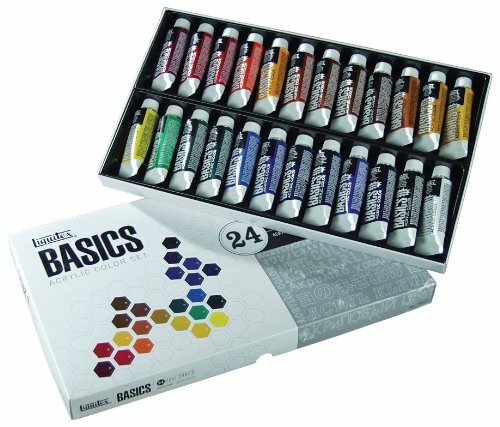 This looks like a great, comprehensive class to get you started with acrylics. If you haven’t tried Creativebug yet, check it out with a free trial, and you can see if this class floats your boat. I suggest taking short classes to get your feet wet, and then at some point you have to jump out and spend some time playing with the medium. Be fearless! 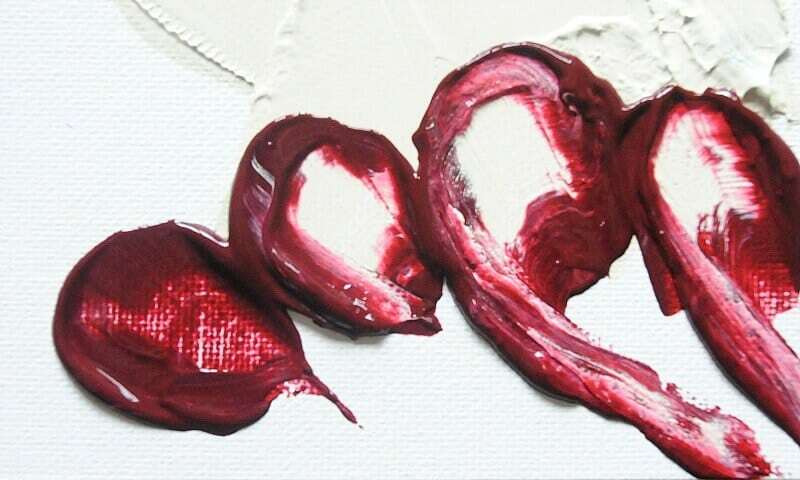 I love this post all about photorealistic painting with Acrylics. 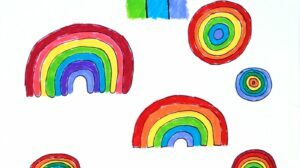 I’ve been looking for fun and new art projects for the summer for my 7 year old. He gets bored with plain old paint, and I can see why, but these will make him very happy. I’ll come back to this post and pick a new technique each time! Thanks! Yay! Yay! He’ll have a blast. I just got a comment after yours reminding me that acrylic paint stains clothing- so I felt the need to pass this reminder on to you- SMOCK. Be careful, acrylic paint stains clothing! Oh my gosh- great point! I’m going to go edit my post to add this little tidbit in. Thanks! I’ve never played with acrylics much… and never with my kids… but I am so inspired to try some now! My oldest adores acrylic paints but I was never comfortable with them. I’m more of a watercolor person so your post is perfect for me! I know they are just technique shots but each image is art, soo cool! I just love all the textures, layers, and colors! Great resource! Aw, thanks! These are some of my favorite posts- just playing around and shooting photos of weird colors and things. Yay! I love all those ideas- acrylic anywhere is pretty wonderful, huh? Thanks so much for your very sweet comment. 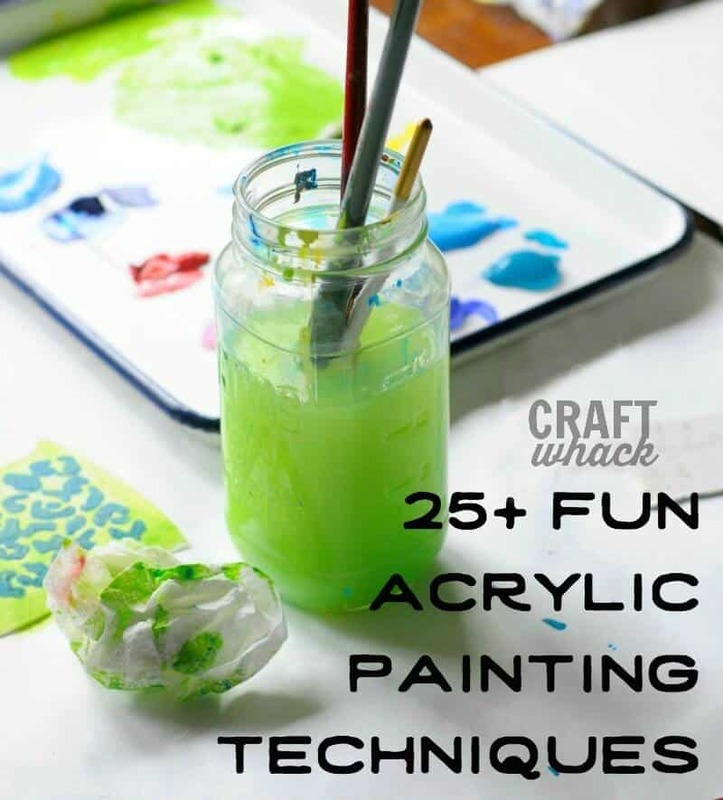 We use acrylic paint fairly often but never in all these cool ways. Just pinned this and your watercolor techniques post. Really excited and motivated to try some new things with the kiddos in my life. Thanks for sharing your talent and creativity! Thanks for the pin! I hope you do try some of these- and let me know how they like them! I love the white tissue paper idea. These are all really great. Thanks for this! I’m scared to paint with acrylics with kids! Be not afraid! Actually, you should try it yourself, what with all the beautiful watercolors you’ve been doing. I need to try these acrylic techniques myself! What is the font used for the name/title of this site? I love it! Did you create it yourself? Thank you! My husband did! Well, to be more precise, he based it on some fonts we saw and liked, and then he made this logo for me. Oh, thank you so much! I absolutely appreciate that!